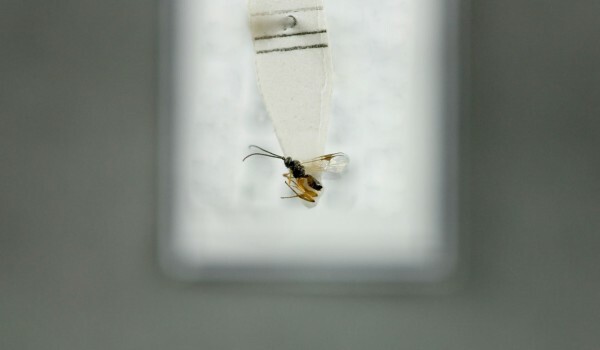 Braconid Wasps are a very diverse family of internal or external parasitoids on other insects. Hosts are usually killed, and commonly include beetles, flies, butterflies, moths, and true bugs. 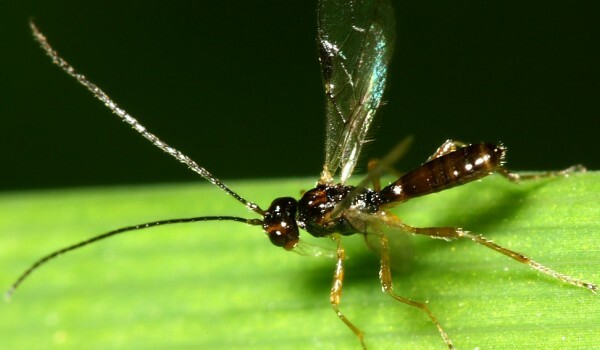 Several Braconids attack aphids, and have been used in Canada as biological control agents. Adults of many species use flower nectar as an important food source because it positively affects reproduction and life span. 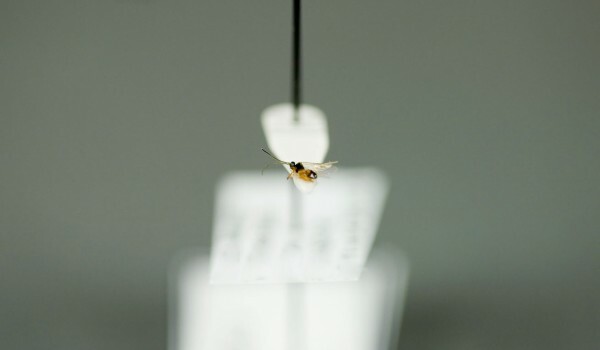 Braconids have a variety of parasitoid relationships with numerous life stages of other insects. They are generally host-specific, with relatively short life cycles. Females lay eggs in, or on, a host’s body, upon which the larvae feed. Many larvae pupate in silk cocoons, often outside their host’s body. Depending on species, they over-winter as larvae, cocooned pre-pupae, or adults. Adults feed mostly on honeydew, flower nectar, or their hosts’ body fluids. Braconid Wasps are widely varied in appearance. 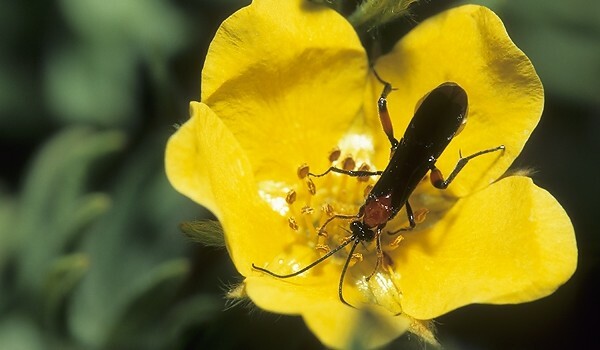 They range between one and 40 mm long, and have antennae with at least 16 segments. Some are brightly coloured and mimic stinging insects, while others are more subtle. Wing venation patterns vary, and are used to distinguish them from the Ichneumonid Wasps. Females usually have a long ovipositor, sometimes much longer than their body. Live in a wide range of environments. Instead of initially seeking out hosts, females are thought to be first attracted to the habitats in which these hosts occur. They may use cues such as chemicals, humidity, light, and spatial patterns to find their hosts’ habitat.